Scab Rat on Broadway Reviewed by Edgeville Buzz on May 18, 2011 . A reader sent in the above photo, which was taken at the new medical building being constructed on Broadway at Vicoria. 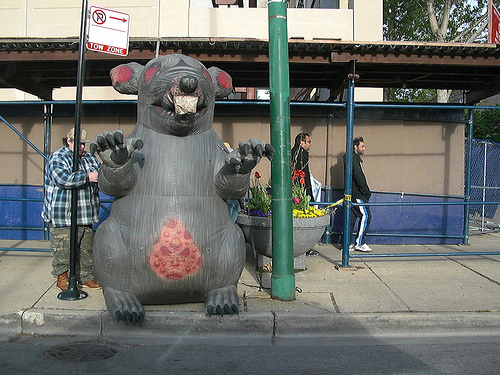 It appears the rat was placed in protest of the project not using union iron workers. Check out more of his pictures here on Flickr.